Our standards based Pre-K Curriculum is divided into weekly theme-based units. We introduce Value Words each week, working to strengthen and increase vocabularies and develop character. Group exercises, as well as individual skill practice, compliments your child’s developmental growth and provides him with many opportunities to explore his personal interests. Weekly character connections develop strong, positive character traits and boost self-esteem in every child. Each child receives an unparalleled level of attention, to ensure success in reading, writing, math, as well as drama, music and art, while bolstering a sense of self-confidence and accomplishment. Your child learns critical developmental skills throughout each of our learning stations. 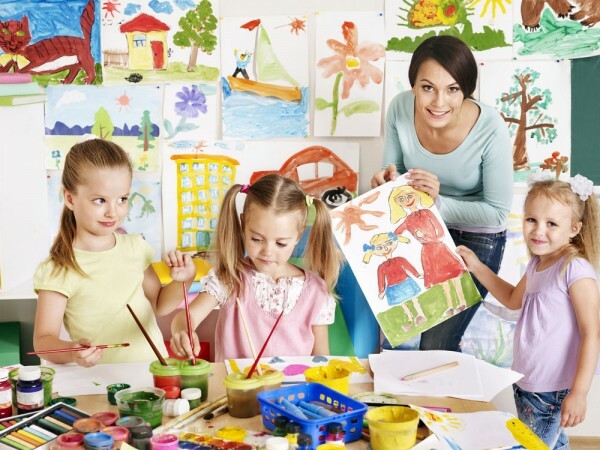 Here are just a few examples of what each learning stations offers your preschool child.